We are locally owned and have been in operation in Portland, Oregon since 1988. Communications Northwest is a leader in Commercial and Public Safety two-way radio communications. With more than 30 years in the radio industry and over 50 years in Public Safety Service experience, many public safety agencies and private companies have chosen to partner with us. We service customers both locally and nationwide. We strive to deliver and maintain quality partnerships with our customers for a lifetime. We do so by offering fair, honest pricing with world class service. Come see why we are one of the fastest growing businesses in Oregon! Communications Northwest is a proud retailer of public safety and commercial grade communications systems equipment. 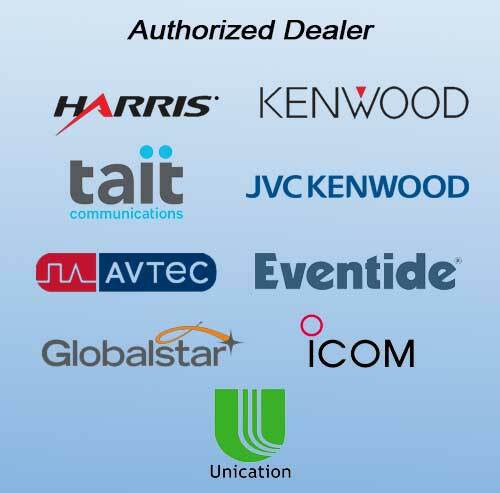 We partner with and are authorized dealers of these top quality manufacturers: Harris, Tait, Kenwood, JVC Kenwood, Avtec, Eventide, Globalstar, iCOM and Unication. We also provide parts and accessories for all of the equipment we offer, in addition to repair and warranty services. We stand by all of the products we sell from these high quality, industry leading manufacturers and are able to professionally maintain your equipment. System Design and Installation can be complex and we are here to assist you meeting your communication needs at your location. We offer free onsite consultation to determine what you will need to meet your communication goals. Our experts will assist in providing you with professional recommendations, quotes, and scheduling to get you up and running. Request a Call Back. We’re here to serve your communication needs fast! Click below to leave your information, and we’ll call you back. We feature only top quality professional Motorola and Kenwood two-way portable radio rentals. 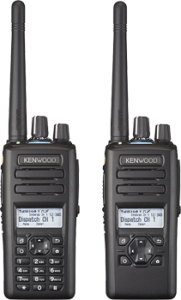 Our selection includes high powered professional two-way, multi-channel radios for every use. We offer low daily, weekend, weekly and monthly rates on all our equipment. Have a question about our rental equipment? Feel free to give us a call and we will gladly answer all of your questions. We have everything you need to set up, implement and maintain a professional communications system. We also offer on-site and field maintenance services, for any issues or problems you may encounter with your communications system. As always, we are available to assist you with any questions you may have with your communications system. Communications Northwest is dedicated to customer service excellence. We welcome any questions, comments or concerns. Our team of professionals participates in continuous training to ensure optimal service standards. We are standing by to assist you with all of your professional communication systems and servicing needs. We appreciate your business and are looking forward to partnering with you.